Why Is 2 Draw So Difficult? ONE FROM THE ARCHIVES: Problems with draw 2 came up in a Harp Surgery lesson today, so we thought a revisit was overdue. Here’s our original post from five years ago with some important updates. Help, my harmonica is broken! When learning to play individual notes for the first time, 2 draw is often the hardest reed to master. 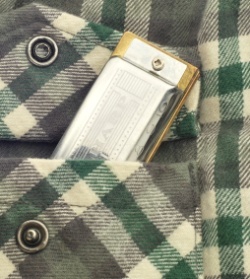 ‘Is it me or is there something wrong with my harmonica?‘ is normally the question that arises. The short answer is, it ain’t the harp! 2 draw is a long old reed moving through a big old slot. And with a choice of one clean and two bent draw notes (as well as an adjacent blow reed that facilitates the bends), the draw reed itself is pretty sensitive. As a beginner, we get the feeling that 2 draw refuses to co-operate. It also seems to empty our lungs much faster than all the other reeds. Why Are Draw 2 And Blow 3 The Same? 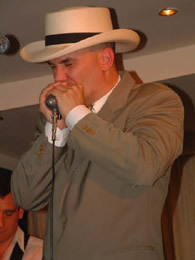 Take a C diatonic harmonica and blow hole 3. You are playing G natural. Draw hole 2. You are also playing G natural. So why have duplicated notes on one instrument? First let’s consider blow 3. Your blow notes are arranged uniformly in terms of pitch. If you blow them in sequence from 1 to 10 you will hear the main notes of the C major chord in arpeggio. (What’s arpeggio? Blow 1-2-3-4-3-2-1. Sound a bit like an opera singer warming up? The same happens with holes 4 to 7 and holes 7 to 10, except each time you are moving up an octave…erm it’s the same arrangement as 1 to 4 but the notes sound higher).